The regulatory bodies are now strict about DFS requirements on WiFi access points. This applies to both new devices and updates to old ones. A simple firmware update may cause a lengthy delay before the network is operable. The 5 GHz band had been in use for aviation and weather radars before it was opened for WiFi use. There are still old radars all over the place and WiFi access points mustn’t interfere with them. If an access point detects a radar signal, it must change its channel, which usually breaks connections to its clients. This mechanism is known as Dynamic Frequency Selection or DFS. When an access point starts up it must quietly listen on the channel for at least a minute before transmitting. Weather radars will continue to use channels 120–128 and on those channels the silent wait time is 10 minutes. During use access points must keep looking for radar type signals and must automatically switch channel accordingly. After detecting a radar the access point mustn’t return to the channel for 30 minutes, even though the detected radar signal might have come from a helicopter flying by. Only the four lowest channels 36–48 (U-NII-1) and the highest odd channels 149–165 (U-NII-3) don’t require DFS. These rules are old but they weren’t enforced for a long time. Now both European and U.S. authorities have changed their approach. The manufacturers have to abide by these rules or their products cannot be sold in these markets. This applies to both new devices and also to updates to old equipment. How Does DFS effect WiFI? The delay at startup has caused many panics among network administrators already. After a simple firmware update the WiFI wouldn’t appear on the air immediately, but after a delay. The 10 minute delay is long enough for panicked administrators to reboot all devices multiple times and change cables. The first DFS implementations tended to be too sensitive and would classify all kinds of signals as radar, even though they weren’t. This caused unexplainable interruptions in the WiFi network. Fortunately these have been mostly solved by now. One solution is to use only DFS free channels. All devices don’t support the high U-NII-3 channels so this leaves us the lower channels from 36 to 48. In a quiet radio environment you can build your network on those channels. They tend to be crowded however, since every administrator wants to use them. Because many administrators avoid the DFS channels, they are often unoccupied! Knowing the limitations brought by DFS you can still make use of them and get interference free coverage. In practice the access points don’t restart that often so the one minute delay isn’t really a problem. 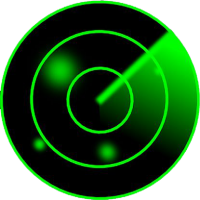 There aren’t tools available to detect radars nearby, but a one week test run is usually enough to see if DFS will cause problems on your network. There might be some occasional hiccups, but the client devices should reconnect on the new channel within 10 seconds without any manual intervention. DFS is about restrictions placed on use of certain frequencies. It is implemented in software, yes, but it is a regulatory matter. What best software with best DFS for android? Like the previous reply, DFS is about using channels, not about software. You could argue that AP firmware is software, but it is definitely not a client (like Android) software issue at all.